The Jack, Joseph & Morton Mandel Humanities Center provides a distinctive academic experience that fosters the study of the humanities through innovative teaching, collaborative/team learning opportunities, seminars and lectures, and civic engagement opportunities designed to expand critical thinking skills and develop leadership skills. The mission of the Center is to provide a unique environment for meeting the intellectual and academic needs of Mandel Scholars in a holistic manner and to broaden engagement in humanities scholarship. 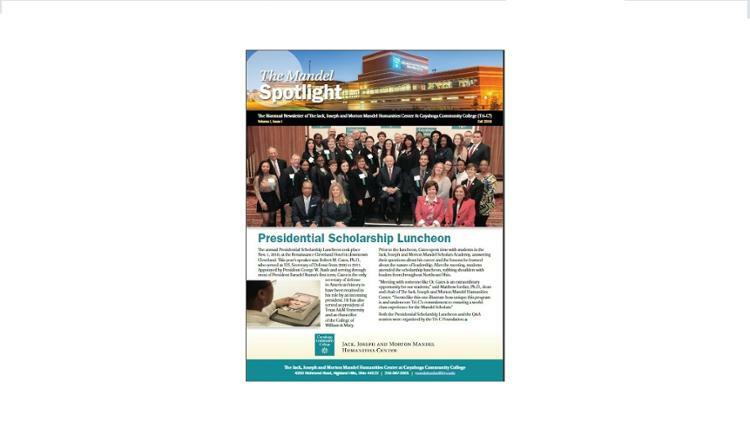 Check out the most recent issue of The Mandel Spotlight!